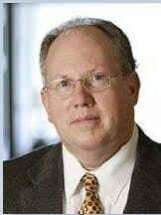 Based in Macon and serving clients across Middle Georgia, Larry Fouche, Attorney at Law represents people facing a wide variety of legal issues. A skilled, experienced lawyer, his practice areas include criminal defense, probate, estate administration, estate planning and workers' compensation. He also represents clients in personal injury cases. Attorney Fouche also helps people create clear and durable wills so that their assets are passed on as they intend. As a former police officer who spent five years on the force, Attorney Fouche brings sharply honed investigative skills to the defense of his clients against criminal charges. A staunch defender of his clients' legal rights, his law firm provides vigorous criminal defense to people facing charges such as DUI, drug offenses, traffic tickets, probation violations and violent crimes, among others. With more than 15 years of experience in practicing law, Larry Fouche, Attorney at Law knows that attention to detail is critical to the success of his client's cases. His attentiveness to detail is paralleled by his focus on clients. A careful listener, he strives to always understand and achieve his clients' goals. He is licensed to practice law in both federal and state courts, including the Supreme Court of Georgia.